You could win a $100 gift certificate from Good Earth! We’ve identified four steps on the path to Zero Waste to help organize our action. The Town of Fairfax passed a resolution to achieve 94% diversion from landfill by 2020. The Town of Fairfax, through grant assistance from Zero Waste Marin, has contracted with Sustainable Fairfax to help implement the zero waste services outlined in the Town’s Resource Recovery Agreement with Marin Sanitary Service. Sustainable Fairfax works closely with Marin Sanitary Service and Zero Waste Marin to educate residents, businesses, schools and local government about ways to reduce the waste that ends up in our landfills. 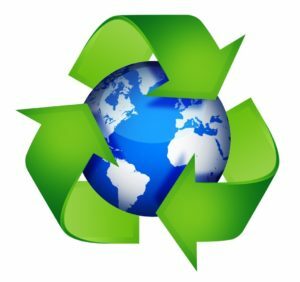 Sustainable Fairfax has assembled a zero waste committee comprised of Sustainable Fairfax board members and volunteers to oversee the planning and staffing of an outreach and educational Zero Waste campaign. We research and gather information on the most recent technologies being used nationally and internationally for waste reduction and recycling processes and turn our research into events, workshops, and plans that will engage our community in the conversation and goal of zero waste. See zero waste-related blogs here and past & upcoming zero-waste related workshops here. Click here to see a short video with a perspective from Fairfax local Sierra Salin. Waste contributes to environmental destruction, social inequality, and climate change. Because of these serious, negative impacts, Zero Waste is a concept and goal that is getting attention and gaining traction around the world, and is one of the most important issues of our time. The zero waste movement seeks to minimize the common, yet needless, practice of waste disposal in our dumps, landfills, and incinerators by changing the practices and policies of government, producers and individual households. Government at all levels should initiate policies and regulations to curb wasteful habits and create the right incentives for waste reduction. Individuals are encouraged to reevaluate their consumption habits, and integrate composting, recycling and especially reuse practices within their households. Ask for More Take-Back Programs – When you buy a product, don’t be afraid to ask the retailer to take-it-back at the end-of-life. If enough consumers request take-back programs, retailers and manufacturers will get the message and find ways to work together to make this happen. It really works!